Kim Hill: Economist Dr Ravi Batra wrote a book in 1978 called The Downfall of Capitalism and Communism which predicted that Soviet Communism would vanish around the end of that century and that a social revolution sparked by disparity of wealth would begin the end of Capitalism by 2010. Well Dr Batra was pretty much on the money about Soviet Communism and now, looking at recent events including the Occupy Wall St movement and presumably the Eurozone crisis, is feeling vindicated on the second prediction as well. He says that social revolution will succeed by 2016. 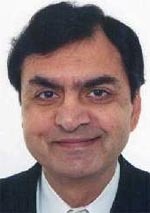 Dr Batra is Professor of Economics at Southern Methodist University in Dallas and he joins me now. Good morning Dr Batra. KH: Your predictions have been it seems more accurate than most not only about the end of Communism, the rise of the Shia republic in Iran. What other predictions have you made? RB: Oh, in the latest book that I wrote The New Golden Age and the Coming Revolution against Political Corruption and Economic Chaos, in that book I made all sorts of forecasts about the economy, society, Iran-Iraq war, oil prices, rates of inflation, the budget deficit, and I wrote that book in 2006 and everything that I wrote there has already come true. KH: What did you predict about the Iran-Iraq war as a matter of interest? RB: I wrote that the war in Iraq would not be over until about 2010-2011 and around that time then the US would somersault to pull out but that it would keep on going for another 3 or 4 years unfortunately. KH: We will get back to economics. I presume the Iran-Iraq war is not strictly an economic theory is it? RB: No it’s based on the Law of Social Cycles. I use that law to make political and societal forecasts but it also helps in understanding the economy. KH: And the Law of Social Cycles is what? RB: The Law of Social Cycles says that in every society there are 3 possible sources of political power. One is military might – when people become militarily strong they can come to power with the help of physical force. Another source of power is human intellect. People who are intelligent – they become quite strong. They join the ranks of the elite. The third source of political power we all know is money. With the help of money people also become powerful. The Law of Social Cycles says that every society was first ruled by a class of warriors. The military rules first in every society. This is how civilization started. After the rule of warriors came the rule of intellectuals in the form of the priesthood. Lately it has been in the form of prime ministers, advocates, chancellors and so on. After the priesthood or intellectuals ruled for a few hundred years, then came the rule of money in society, the rule of acquisitors. Moneyed people have an acquisitive intellect and that’s where we are passing through now. But every rule of acquisitors created so much wealth concentration towards its end that in the end people became very poor and they simply overthrew the rule of money in the form of a social revolution and that’s why I was able to predict with the help of the Law. And I wrote the book in 1978 that I expected a social revolution to occur but the precondition would be a huge jump in the concentration of wealth which also has occurred already. And so the precondition has been satisfied and poverty is also rising, so I think the social revolution is bound to come. My latest forecast is by 2016, crony capitalism will be gone. KH: We will get back to that in a moment. I’m just interested to know how the Iran-Iraq war fits into your Law of Social Cycles. RB: Okay. In a book about Iran I predicted that the priesthood would take over Iran around 1980 after the overthrow of the Shah of Iran. Once the priesthood took over I wrote that the priests always want to stamp their ideology. Iraq is Sunni whereas Iran is Shia, so I predicted that right away there would be a fight between these two states because of their religious differences and that fight would last for about 7 maybe 8 years. That is how the Iran-Iraq war fits into this Law of Social Cycles. I foresaw that the priesthood was going to take over because when I looked Iran, I found that only the priests were offering leadership so I just surmised that according to the Law of Social Cycles priests also come to power at a certain point and that’s how the Iran-Iraq war became relevant. KH: And what about the US war in Iraq? How does that fit into the Law of Social Cycles? RB: In the same book that I wrote on the Muslim civilization, I predicted that the Western world would come into a very strong conflict with fundamental Islam. I wrote that it would happen around the year 2000 and once there was a conflict between the West and fundamental Islam that it would keep on going and in fact even after this Iraq war is finished this conflict is not going to stop – it will keep on going for this entire decade in fact. KH: And that is explained by the Law of Social Cycles in what way? RB: I have updated this Law in my latest book The New Golden Age. So the book has in it economics and politics and we like to say that our subject is in political economy because politics has a tremendous amount of influence on the economy. KH: I understand that the economy cannot be cordoned off from all other things but it is fair to say that you have received some criticism for going way beyond the usual margins of economists. Yes? RB: Yes I was ostracized for years and years. People used to say this man has a lot of talent but he doesn’t know how to use his talent. He’s talking about communism would be gone, capitalism would be gone. He’s a madman. That’s what they used to say. But I had tested this Law in terms of four different civilizations and I found that it always was valid. It described the evolution of society amazingly well. In all civilizations it was valid and the Law has been upheld by 5000 years of human history. I said that if something like that goes for 5000 years, that law is not going to be stopped right now. KH: And who first drew up or discovered the Law of Social Cycles? RB: That was my late teacher P. R. Sarkar. He was my teacher in India. I studied yoga by the way with him, yoga and philosophy but he also had knowledge of so many different areas including economics and history. So the Law of Social Cycles was pioneered by my teacher P. R. Sarkar. KH: And he was the leader of the Ananda Marga movement? RB: That’s right. He was the leader of the Ananda Marga movement. But my concern was mostly with him. I find the teachings he offered were great and the Ananda Marga teachings are of very great interest to me. KH: Fair to say too then that Ananda Marga does not have huge credibility in some quarters? RB: Well who has credibility when you are pioneering something new? Such people never had credibility in the beginning but later on their philosophies are accepted and even eulogized. That’s a feature of history that anything new is opposed by the existing ideas. So new ideas have to fight the existing ideas and then they become popular. KH: Is it possible that you failed to predict some things or predicted some things that did not happen but we are only hearing about the things that you predicted that did happen? RB: Oh yes I did fail to predict …in fact I mentioned in the article that I wrote about this Occupy Wall St movement, I mentioned that about 5 to 7% of my economic forecasts have been wrong. But the political forecasts about the society have never been wrong, at least not to my knowledge. Some of the economic forecasts I made in the 1980s, they turned out to be wrong but lately the forecasts that I made from 2005 not a single one has been wrong. RB: That’s right that prediction turned out to be wrong in terms of its timing, but the theory that I had mentioned that depressions are caused by extreme wealth concentration, that theory is not wrong. Right now the heavy wealth concentration around the world that the world just cannot come out of is very very serious. KH: So the theory is when the disparity between rich and poor becomes large enough, the economy will collapse. RB: Well it’s very simple. You just have to look at supply and demand that’s all. Now the reason why wealth disparity occurs is that productivity rises but wages don’t. That’s why the fruit of increased productivity increasingly goes to the wealthy and that’s the reason for wealth disparity. Now let’s look at what happens in an economy when productivity goes up but wages don’t? I like to say that productivity is the main source of supply, whereas wages are the main source of demand. So if productivity goes up, supply rises, then wages have to rise in the same proportion so that demand also rises and keeps up with supply. To maintain this balance in the economy, supply has to be equal to demand and when supply is greater than demand all the extra goods that have been produced cannot be sold. So some goods remain unsold, this means profits fall and businesses have to lay off some workers. KH: Are you looking at a country in isolation because we live in a global economy now so if one economy cannot afford to buy goods they produce then they’re shipped off to someone else who can. Right? RB: Well the trouble now is that all over the world, productivity is rising but wages are not. It’s a global problem, so that’s why you will find that the only cause of unemployment in any part of the world is that wages are not keeping up with productivity. It has been going on for many many years but the problem has shown up now because now the gap between productivity and wages is so large that demand simply cannot rise to the level of supply. And this problem is all over the world. Look at China. Their productivity has risen the fastest but wages has not risen much at all, so what they do? They ship products abroad and create unemployment for other countries. So the only cause of unemployment in any part of the world is that wages lag behind productivity. Now when that happens there is increased wealth concentration. So in the end you can say increased wealth concentration is associated with rising unemployment and recessions. KH: So when you say that when disparity between rich and poor becomes large enough and the economy collapses, you are not talking necessarily about social revolution, you are talking about a purely economic response. RB: That’s right. That’s purely an economic theory. The forecast of a social revolution comes from the Law of Social Cycles. KH: And do they both coincide? In other words if you have a Law of Social Cycles and something going on economically is it possible to separate them? poverty keeps rising for a very long time people eventually revolt and they overthrow the rule of money in society in a social revolution. So the forecast about the social revolution comes from the Law of Social Cycles. KH: And do you see the Occupy Wall St movement as part of the revolt that you say will succeed by 2016? RB: That’s right. Finally people are waking up. They find that they are the vast majority, they are the 99% and they don’t need to take it any more. They don’t need to be dominated by just the 1% because the 99% have the right to vote. That’s what is happening now not just in the US but all over the world. I think this movement has found sympathizers in most countries. KH: Many people have said that the movement doesn’t know what it wants. It knows what it doesn’t want but it doesn’t know what it wants. You handily enough have apparently drawn up a manifesto for the movement and you’ve got 9 points which if people put in place, would sort things out and generally protectionism seems to be a theme that runs through your recipe. Would that be true? RB: No not protectionism. There are two types of free trade. One is free trade with balanced trade, i.e. we import as much as we export. That’s the balanced free trade. And then there is the kind of free trade where you have deficit ridden free trade. I don’t advocate that. I don’t think any country can do well by constantly running a trade deficit and having its manufacturing base completely destroyed. So it’s not protectionism but balanced free trade that I believe in. KH: So people can only import as much as they export. RB: That’s right. They should only import as much as they export. In fact if the entire world was following free trade then no country should really have a trade deficit. Some countries are indeed following free trade but some are not. Like China is not following this policy because they have an exchange rate manipulation, and the manipulation of the exchange rate is necessary for them because they also have this problem of excess production – not enough demand but too much supply. So they keep their exchange rate low so that the surplus production is shipped abroad. In the end every problem is attributed to the rising gap between wages and productivity and hence the rising concentration of wealth. KH: There’s a system called PROUT that you have written about originally developed by the gentleman that you mentioned earlier and it’s an acronym for Progressive Utilization Theory with a new form of government policy that will be needed you suggest. What does that consist of? RB: The Proutist system is based on what we call economic democracy. Now in economic democracy the majority of shares in very large companies like IBM, Toyota, Mercedes Benz and so would be held by the employees themselves. They own at least 51% of the shares and when that happens then this majority will elect a board of directors and the board of directors will appoint a CEO. But in such a system whenever productivity rises, wages will automatically go up in proportion to productivity because if the CEO does not give them higher pay he will be thrown out. So what we need is an economic system in which wages go up in proportion to productivity. This system is not only fair but it is also a stable system. It would not allow any depression or any kind of recession in the economy and we will not need any government help ever to fight recessions. Whenever wages rises, productivity demand increases supply. There are never any layoffs. KH: So that is the basis of the Progressive Utilisation Theory. It sounds quite simple really. RB: It is quite simple. PROUT is also very interested in maintaining the quality of the environment and also maintaining a minimum level of living standards for every able bodied worker. There are some other things but the main basis of economic policy is economic democracy. KH: PROUT has been described as the alternative to both capitalism and Marxism but isn’t it capitalism really? RB: It is capitalism. I like to call it mass capitalism because when employees own the majority shares of large companies and private property on a massive scale it is mass capitalism. KH: I said it sounded quite simple. I guess the tricky part might be persuading the large companies to allow their employees to own 51% of their shares. RB: Well that’s where this Occupy Wall St movement comes in. 99% of the people will eventually persuade them that they have to give up control of the economy and society. RB: Oh yes otherwise there’s no revolution. Revolution means economic democracy. RB: Yes I have no doubt that this will happen. KH: What gives you such confidence? RB: The confidence I have is based on the Law of Social Cycles. It is likely to happen by 2016. That’s my best estimate. It may happen a little later maybe 2017 or 2018 but it’s going to happen because the public is not going to face prolonged unemployment and we will not be able to come out of this very very serious recession until there is economic democracy. KH: Will we know when it’s happening? RB: Yes we will know that I think in 2013 or 2014 for sure. RB: Well next year the economy will be just as bad as it was in 2008. It’s going to be very bad next year and when that happens the Occupy Wall St movement will spread like wild fire and if you see it spreading like that for sure the revolution is coming. KH: And will it be a bloodless revolution? RB: Yes more or less bloodless just like you saw it happening in Egypt. I would say the Egyptian revolution was somewhat bloody but less bloodshed than that in the western world. KH: Did you see the Arab Spring coming by the way? RB: And or. First this is what that forecast implies. They are fighting each other first and after the United States completely pulls out of Iraq I think there is going to be a big fight between Shias on the one side and the Sunni forces on the other. And that means countries fighting in the Arab world. KH: The European debt crisis, is that part of the Law of Social Cycles? RB: Yes that’s part of the Law of Social Cycles because the current economic policy is totally bankrupt. You cannot bring the economy out of this great recession just by spending money. Wages have to rise to the level of productivity otherwise there is no increase in consumer demand. And so long as consumer demand remains constant, Government money is only a band aid and in the end even that band aid has to be abandoned as the experience of Greece, Italy, Ireland etc shows. KH: You criticized the bailout that President Obama implemented. What was the alternative? RB: The alternative was that they should have bailed out the public, the consumer, not the banks or investment corporations and other financial institutions. That was just surely a waste of money. In fact I predicted that once these companies were bailed out, oil prices will zoom again. The first bail out occurred in 2008. At that time oil was around $US32 a barrel and I wrote that that would go back sharply again after the bailout because all this money that the government gives them, will go into oil speculation. These companies don’t need any money. They have plenty of money. It was corruption that reflected itself in the form of the bailout. KH: Dr Batra how do your colleagues regard you in Dallas? KH: Including the University where you work at? RB: Oh yes, all over the world. In fact I used to publish articles in very good journals in the 1970s but once I started to make these forecasts, they wouldn’t even publish my economic articles. The ones I wrote about wage productivity gap. This is a sound theory that when wages don’t rise as fast as productivity you’re going to have layoffs. They would even publish this kind of article and so I had to put the ideas in books. But slowly the word is getting out, what the wage productivity gap is like and what it creates. It creates a lot of debt. It creates a trade surplus for China and then unemployment for all the other countries. So it explains every economic situation you find today in the world. KH: I suppose notions of cyclical regularity and infallible laws of nature applying to humankind and its business have always been open to skepticism. RB: That’s right. Those Laws have been very open to skepticism because people don’t like to think that some powerful law of nature is controlling their destiny. But this is misinterpretation of such laws because all these laws say is that nature sets the boundaries in which we operate. We cannot violate these laws. Laws of nature are supreme in the end. Nature sets that boundaries in which we operate, but within those boundaries we are free to make our decisions. KH: What has nature got to say about wages? RB: That has nothing to do with nature. That has something to do with the human nature where the person who has a lot of money becomes even greedier and that’s why when producers have a lot of money they become greedier and greedier. They acquire more and more wealth and then they buy up the politicians, have them pass laws so that wages don’t rise as fast as productivity. That has nothing to do with nature, but nature tells us the consequences of what will follow when this is not corrected. Nature tells us there will be a social revolution then if these things are not corrected. KH: Has there ever been this situation before? KH: What was the last time? RB: The last time the rule of money prevailed in the West was under feudalism. At that time wealth was ownership of land. Landlords used to buy up people by granting parcels of land and this was how they controlled society. And feudalism was overthrown in social revolution all over Europe. At that time Australia was not in its present form nor was New Zealand, but Europe was where Western society was predominant and feudalism was overthrown in a series of social revolutions in England, France, Germany and elsewhere. So this thing has happened in Western society before. KH: Given that this Progressive Utilization Theory has been around since that last 1950s when P. R. Sarkar began to propound it, why is it that you have been such a lone and ostracized voice on it? RB: Well anything as profound as economic democracy – we are not talking about just any change. We’re talking about a profound change in society. Simply eliminating the rule of money, we’re talking about a revolution. Revolutions don’t occur overnight. They normally have at least a 20 year cycle so that’s why it’s taking so long. But at least according to my calculations the time is very near. KH: I guess people can attach themselves to pessimism. It’s optimism that people find difficult and you have written that soon after the stock market crash a democratic revolution at the ballot box will catapult the United States into a golden age that will eclipse the reign of wealth, establish a truly free enterprise economy and bring now discarded spiritual values back into fashion. Then will dawn a brilliant day across the world beginning a thousand years of righteousness, compassion and innate goodness on earth. At this point I imagine your economist colleagues might be thinking you’ve lost your marbles. RB: This is not the first time. They’ve been thinking it for the past 30 years. The reason I feel we are going to have a global golden age for the first time in human history is that every new system has been better than the one it’s replaced. Capitalism is better than its predecessor feudalism. Feudalism was better than the rule of the church in society. So every new system has been better. And the reason is that human evolution happens alongside social revolution. So economic democracy will be a totally new system and it will be much better than the current system of crony and monopoly capitalism and therefore it will usher in an era that has been totally unprecedented. KH: What’s your definition incidentally of crony capitalism? RB: Crony capitalism occurs when very rich CEOs buy up politicians with the help of their money and have them pass laws in the name of free enterprise to further the interests of wealthy corporations. In the United States there are so many companies that earn billions of dollars a year but pay zero taxes and then they complain the corporate taxes are very high. This is crony capitalism. KH: What would you say to people like Thomas Friedman to whom I spoke a couple of weeks ago who would accuse you of possibly not losing your marbles but trying to turn the clock back? RB: I’m trying to turn the clock forward. KH: Well Thomas Friedman would say that free trade is the only way to go. You cannot shackle free trade. RB: Why not? Well first of all I’m not in favor of deficit ridden free trade. Balanced free trade is fine. There was time I wrote a long time ago when I showed – in fact I predicted that the United States would lose its manufacturing base completely because of free trade and that would destroy its middle class. At that time I used to say yes let’s have tariffs back, but not any more because now, as you said yourself, we cannot really turn the clock back, but we can follow policies so that we have a balanced free trade, not deficit ridden free trade. That’s not protectionism in my view. KH: Okay. I accused you earlier of advocating protectionism and you said no, no, no. But you have in the past, you just changed your mind. RB: Yes in 1993 I wrote a book – and that was what, almost 20 years ago – and I predicted at that time that the middle class would be destroyed in the United States because of the insistence of free trade and because of NAFTA especially but now things are so different, so intertwined all over the world that now balanced free trade is essential. KH: At the moment when ghastly things are happening in Europe and the United States and elsewhere, what we get are reports that well stock markets have fallen and everybody says oh dear and then the stock market has rallied and every body goes oh well that’s all right then. You’re saying that’s all nonsense and in fact part of the problem. RB: Oh that’s a big part of the problem because one big reason for the stock market rallying is a huge jump in the price of oil. It’s good for the stocks of energy companies but the high price of oil creates havoc for our global economy. KH: Have you actually been and talked to Occupy Wall St people? RB: I have not been there yet but I have heard of a lot of people in that movement and I’ve had a lot of emails especially about the 9 point list of exploitation that I mentioned in that article that came out in Truthout.org. If you Google my name – Ravi Batra and at the same time Occupy Wall St, you will get to that article. That 9 point list of demands, if accepted would bring us out of the recession and this depression. I’ve heard from quite a few people about that list and they like it very much. KH: Some of our listeners want you to be president of the world. RB: No, I’m here just to offer advice. I’m not after any office or politics. KH: That’s what they all say but come the revolution! Somebody wants me to ask you this question. In the interests of preserving declining resources, is it possible to reduce production back to the level of wages to achieve a supply and demand balance, rather than forever trying to increase production and having to raise the wages to match? RB: No we should be constantly increasing production and productivity, because that’s the only way to end poverty around the world. But PROUT has also certain policies which would ensure there’s no degradation of the environment. In fact I’m going to write a book one day to show how we can change our tax laws in such a way that there will be no destruction of the environment whatsoever. We need to increase production and productivity so that we end poverty all over the world. KH: But there are people who say we cannot continue to increase productivity. There has to be an end to it. RB: No that will never happen because human brain is constantly evolving. A time will come when productivity will be extremely high – much higher than we have right now and at that time people will have more time to relax. That in fact is a feature of the coming golden age. KH: Some say that this cycle theory does not account for the depression of the mid 1890s. What do you say? RB: I don’t see any relevance between the cycle changing and that depression of the 1890s. That was an example of when wealth concentration increases there are recessions and depressions. The 1890s in the United States was known as the gilded age. It is a fact that high wealth concentration destroys an economy. KH: So should we all be worried about the revolution because revolutions always whether they are bloodless or not, cause chaos and there will be a lot of innocent people who will suffer, will there not? RB: Yes unfortunately. My whole purpose in writing my books in the past was to warn the public to do something about this political corruption and the rising wealth concentration so that we don’t get into the kind of situation we are in right now. That’s why I took all these risks. My whole career was destroyed because of all these writings but I did not want people to see, have to face this poverty. The good part is that now we are in this situation, at least crony capitalism will be overthrown forever. KH: Just going back to your teacher P. R Sarkar and his leadership of the Ananda Marga movement, Ananda Marga has had their brushes with anarchism. You’re not suggesting that anarchism might be a way to go? RB: Personally I don’t know of any anarchism caused by Ananda Marga, in fact I am part of the movement and I tell you I am a vegetarian. KH: Can you be a vegetarian anarchist? RB: I don’t eat meat. I don’t believe in violence at all. But their might have been some people who got angry and they may have committed certain acts. I have no idea. KH: You’re talking about what happened in the 1970s presumably are you? RB: Well all I know is that Ananda Marga was constantly hounded by the Congress Government in India. They in fact sent my teacher to jail on baseless charges of murder. Then he was totally acquitted. The Government didn’t accept this and appealed to the High Court. The High Court said you have no case at all, release him right away. In fact throughout the past 30 – 40 years Margiis were convicted by lower courts and always released by higher courts. So I don’t understand how they could have been anarchists. RB: That’s the way of history. Whenever someone offers a new progressive idea, the status quo people go after them but in the end the new ideas prevail. This is nothing new. It is just history repeating itself. Unfortunately Ananda Margiis are the victims of that reputation. KH: We only have a very short time left. What’s the next thing that’s going to happen that we can read as part of the coming revolution? RB: As I said next year is going to be very bad in terms of the economy. Then just watch how fast this movement spreads. When it is moving so fast then you will know that the revolution is almost here. KH: All right. Well we will get back to you on the revolution. KH: It’s nice to talk to you. Dr Ravi Batra is the Professor of Economics at the Southern Methodist University in Dallas. Rarely has anyone predicted such bad events with such jollity. I read The Great Depression of 1990 in 1989. I watched as everything unlfolded just as Dr. Batra said but slower as all they did was massive borrowing to prolong the enevitable. I’ve been a student of economics, a loan officer for major lenders, and have traveled the US telling of Batra’s accurracy for over 20 years. I’m familiar with the Federal Reserve and the IMF and World Bank and how people worldwide are awakening to the disparities of wealth and income and the associated supply-demand problems. Dr Batra is the best and most accurate economic forecaster,and yet it doeesn’t suprise me that he has gotten relatively little television exposure.These crooks don’t wan’t the truth to get out. They prey upon ignorance. Long live Dr.Ravi Batra and God bless him. I graduated from SMU before you became Chairperson of the Economics Dept. in 1977. Your predictions are not about bad events; but good events. These predictions are for good things to come; things I have had hope for since the beginning of my memories. My earliest memories are about our neighbors in Dallas shouting upon the election of Franklin Roosevelt as US President. Memories of my father’s struggle to keep our family alive during the depression of the 1930’s. I trust that your prediction about the critical changes to capitalism come true. Living beings may be divided into two main groups – those who want to share their wisdom, and those who do not want to. The more a group favours the sharing of wisdom, the more is their social instinct; and those who do not, their collective social mind cannot develop in the proper way due to lack of mutual understanding.